Let me be very frank about Zeke: I don’t think he’s some stellar player, and certainly not better than other 20-something-year-olds who have played this game in the Tony/voting-block era. This is not because he’s stupid or unknowledgeable, but simply because he’s impatient. We, the Survivor faithful, have heard time and time again about how timing is so important when playing, something Zeke must know. Yet, in back-to-back seasons, he made moves far too early and it cost him exactly two votes later (booting Chris and trying to boot Andrea). While his first mistake seems more forgivable to me, this one—especially with better competition—seems less so. I was ready for Sierra to come back from the immunity challenge with guns blazing, doing anything and everything she could to make a move. I honestly thought she’d get canned, but at least she’d go down in a heroic blaze of glory! Instead, we get a confessional where she’s merely hoping the chips fall in her favor. Even her pleading her case was immediately met by her asking if Andrea and Cirie wanted her to go away for a little bit. Yes, I completely understand one could make the argument saying nothing in that situation is actually exactly the right play, and had Sierra been confident that she was to be spared, that is right. Why rock an already rickety boat? But Sierra seemed genuinely shocked that Zeke went home. She truly thought she was in a bad, bad spot, and she appeared to do next to nothing to amend that, save for hoping everything worked out. She did, indeed, threaten to throw her alliance under the bus if need be and even voted for Tai, but that seemed like a scheme hatched with her, Troyzan, and Brad, potentially skewing the numbers in Sierra’s favor. Although the next preview seems as though we are in for a very-Sierra-heavy episode, she’d really have to lose the passivity in a pretty massive way and take control of the game for me to rescind the following statement that I’m now more sure of than ever: Sierra is not a game changer, not an All-Star, and she shouldn’t have been asked back. With Zeke and Sierra out of the way, let’s get to Andrea, the significance of the legacy advantage, and the looming final story-arc this season’s edit appears to be hinting at, in my opinion. First, let’s look at why Andrea’s been asked back for her third chance at the title. 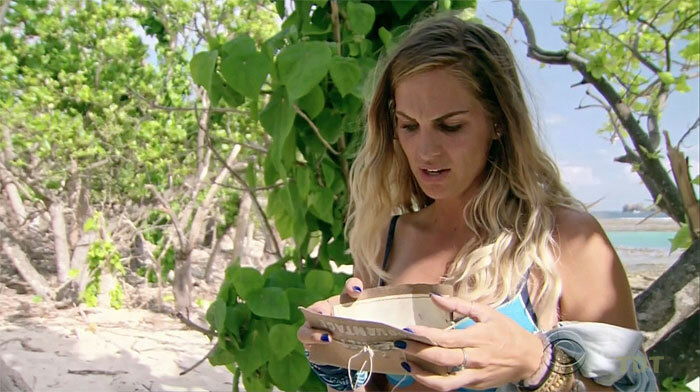 I know I mentioned it in my preseason assessment of Andrea that my biggest memory of her was in Redemption Island where the promo teased: “Hell hath no fury like Andrea scorned,” or something to that end. For those who remember Redemption Island in a similar manner to me, the season quickly became the Boston Rob-show, leaving Andrea as a struggling player trying against nearly insurmountable odds to overthrow the season’s ultimate champion. Now, basically everything out of her mouth this episode was about how Zeke tried to get her out and how she was out for blood. You want to see someone who’s learned from past mistakes—past passivities, if you will—it’s this woman. I still think she’s destined to fall prior to the finale, to burn out her fury prematurely, as it were, but, my friends, this woman is proving why she’s worthy to get a another call back. She is a warrior archetype, and with people like Sierra and Troyzan (even Michaela, really) seeming somewhat passive in their gameplay, she’s very needed. I have to respect that passion to make moves. 1. Sarah, trusting of Sierra, decides to keep her, and the two women begin something of a bulldozing of the rest of the season thanks to Sarah’s ability to fake right and go left and both women’s athletic prowess. Sierra plays the advantage at six, and both women make it to the final five, at least. 2. Sarah, untrusting of Sierra and importantly unaware that the advantage must be willed to somebody in the event of Sierra’s exit, decides to cut someone who does have a cushion in a few votes, lest that cushion blow up in Sarah’s face. Sierra goes home, blindsided, and the game goes on from there. 3. Sarah, trusting of Sierra and aware the advantage is willed in the event of Sierra’s boot, turns on Cirie, Aubry, Andrea, and Michaela, booting one of them to garner Sierra’s favor, before flipping the script back on Sierra and feigning some level of innocence to Sierra’s blindside. In this scenario, by far the least likely of the three, Sierra, unable to fathom Sarah was the one who flipped, entrusts the advantage to Sarah, giving Sarah a potentially vital immunity. Of course, the Legacy Advantage might really not factor into any decisions at all, and as we saw last season with good Mister McNickle, the advantage itself might not matter even in the slightest. Merely based on the edits, I could see any of the above happening to varying degrees. Something to think about, if nothing else. It seems as though, almost every season, there’s one finalist the edit almost can’t help but spoil. Sometimes it’s because the person is just so obviously going to win (Kim Spradlin and Mike Holloway, for example), and sometimes it’s because the person is basically there to be a goat (most recently, Hannah from last season—even though I think she played a better game than we were shown). 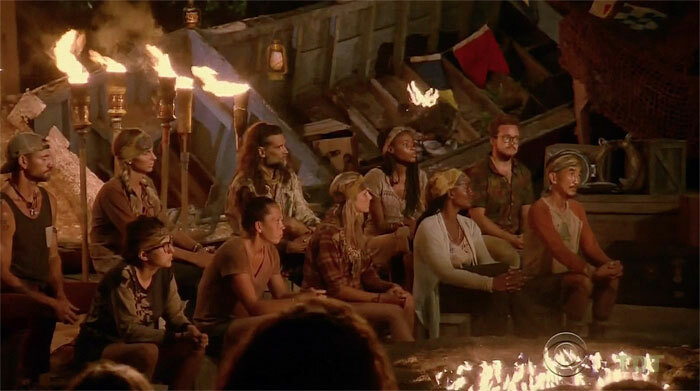 Although a good edit, a good story, should allow audiences to look back at the narrative and understand just how given people got to the bitter end, most seasons of Survivor do a good job at being duplicitous enough to have viewers question at least one or two of the finalists (and sometimes, you get a Cagayan in which all of the final six seemed like legitimate choices to be sitting at the end). Regardless, it’s rare, in my opinion, there are two edits that seem to draw so much attention to themselves in terms of finalist-caliber stories. What’s more, these stories aren’t just finalists, they could well be champions. I’m talking, of course, about Culpepper and Sarah. In addition to MvGX, it would appear Survivor editors are stepping up their respective games, and not only for allowing for multiple edits to be easily read as potential winners (Michaela, Zeke, and even Ken early; Jay, David, and Adam throughout). Here, I don’t just view both Culpepper and Sarah as potential winners who still need to make it to the end—the pair, again, in my opinion, is destined for the end. The edit has been setting both of them up for this for some time (Culpepper before Sarah merely due to his early Tribal attendances), and unlike Jeremy vs Spencer (vs Tasha), I don’t think the vote will be a landslide. What remains to be seen is who is our winner? Let’s look at and compare their stories, shall we? Let’s begin with Culpepper, someone who has, by all possible standards, crushed my expectations. He was a good physical asset to his tribe during the first portion of the game both in challenges and around camp, yet he’s not too threatening to win individual challenges, simultaneously upping his usefulness while lowering his threat level. On top of that, he seems to have general end-games in mind, and has proven to be (at least marginally) strategic, and most surprising of all, it’s Brad Culpepper’s social game that has been his biggest asset. His social game got him connections with Sierra and Troyzan and, had Zeke survived, he’d managed to claw himself from a terrible position to one of relative safety with Zeke as a buffer. Considering Culpepper was the player I spent the least amount of time on in my preseason assessment—completely because I thought the least of him out of anyone in the cast—color me impressed. This is a man who is taking his second chance seriously and doing everything he can to make an impact on the game. While I think he’s a ways away from being an elite player, the man is proving he’s a solid one, one smart enough to learn from past mistakes. Although he hasn’t always been in control (especially currently), he’s proven slippery and capable of maneuvering to save his own skin if necessary, all while being hailed as a good person. He’s this season’s hero archetype, and say what you will, he’s proved he deserves to be here. Oh, speaking of past mistakes, there’s Sarah. 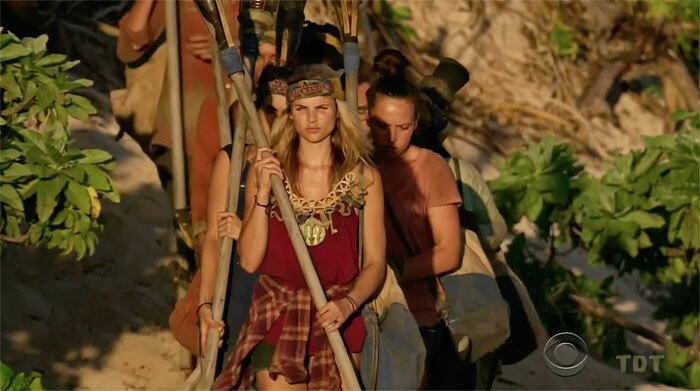 Sarah barely managed to make it to her second Tribal in Cagayan, and while she was facing off against stiff competition, she did take a rather easy route in trying to side with Spencer and Tasha’s crew. She’s not taking any easy routes this time. Sarah’s seemingly flipped on every vote since the Merge, and while this could ultimately result in a bitter Jury, how could a group of returning players in this era of the game not reward someone who potentially could be on the right side of the vote for the rest of the game? While the likes of Debbie and maybe Sierra, Troyzan, and Tai (should they find themselves on the Jury) might reward Brad, the rest of the Jury must at least be open to voting for Sarah. Much like Culpepper, she might not be the greatest of players, but for all of her fiery confessionals and other cast members observing they have to broach certain subjects with her carefully, Sarah knows when to keep her mouth shut, and thus far, her timing seems spot on. Tack on the fact that, like Culpepper, she’s a solid challenge competitor without coming off as too threatening, and you have a potent combo. The everywoman with a bit of villain in her, Sarah’s only potential mistake could be she is sitting at the end with one of the only people who could beat her: Mister Culpepper. So, dearest readers, rather than looking at this like a man who didn’t last to day 20 versus a woman who couldn’t even survive two Tribals, think of this final showdown as a surprising hero who’s struggled at points against and even with a powerful, but relatable, villain who’s thus far dominated the game. Now, in many narratives, the hero is meant to prevail, but this is Survivor. A good Denise Stapley or OG JT win is always lovely to see, but sometimes we want a Brian, a Tony, or a Parv. Either can feasibly win, and I’d be shocked if they both weren’t pleading their very good cases against one another come day 39. Not bad for a season with a tepidly interesting cast at best. Who’s Next to Join the Zero Vote Club? If Sarah and Culpepper both live to see the FTC, that leaves seven candidates vying for the last—but ultimately doomed—spot: Cirie, Andrea, Michaela, Sierra, Troy, Tai, and Aubry. To me, the race can be limited further considering the likelihood of Cirie being this season’s tragic hero and falling sometime in the finale and the fact Andrea, while looking rather impressive, seems to be destined for a boot either this week or the one after. Even Aubry, who I believe to be a very good player despite her lack of coverage, can likely be ruled out as well as, even if she got goose-egged in the end, editors would likely give more screen time, given her very recent popularity. So that leaves us with Michaela, Sierra, Troy, and Tai. All of these four have cases within editing that could reasonably be interpreted as FTC goats. For instance: Michaela has been constantly shown as abrasive, Sierra has been shown as very passive for someone who is—by many accounts—“in charge,” Troy’s been all but invisible since the Merge save for an immunity win and Ozzy giving him confused glances as a Jury member, and Tai’s social game is… erratic, at best. At this point, my money would be on Tai or Troy merely due to their current idols, but it really wouldn’t surprise me to see Michaela or Sierra there at the end. Regardless, my friends, I’d like to pose a perhaps bold statement: it just doesn’t matter. As noted above, this season’s story isn’t between Sarah, Culpepper, and [insert third mystery finalist]. It’s about Sarah’s relatable yet flip-flopping antics against Culpepper’s story of redemption. Unfortunately, the third finalist is destined to be little more than death fodder. Because a Minority Flip is Always Fun! 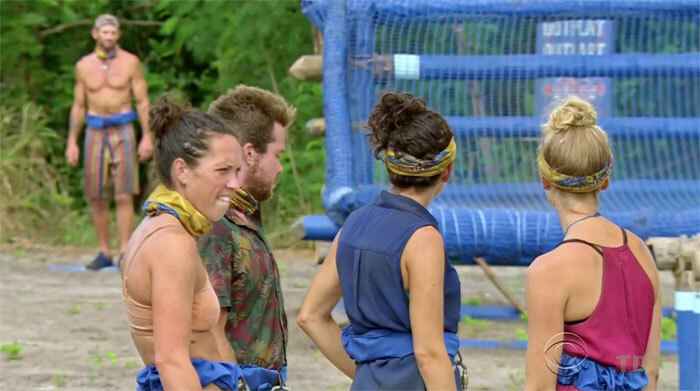 Let’s take a moment to consider what seems perhaps unlikely to many who have watched Survivor consistently: the five-player majority sticks together. In that scenario, Brad, Troy, Tai, and Sierra are obviously outnumbered, and one is logically toast. While this is a very likely possibility, all four members of this alliance have the chops to win immunity, so, for the sake of argument, let’s say one of them does—Sierra. With that necklace, Troy and Tai have a crucial choice which would likely garner both huge points with the Jury and their alliance. Do they play their idols? 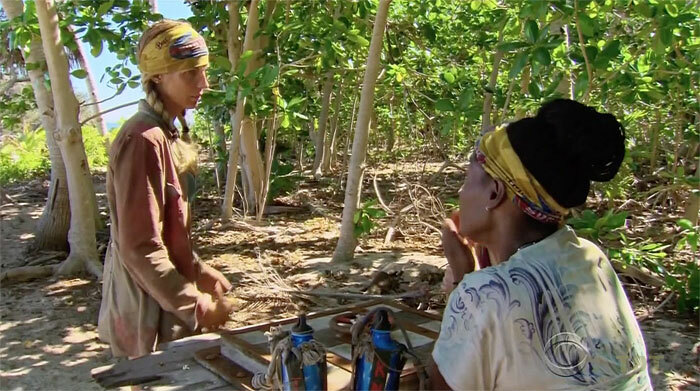 If one of the minority-four has the necklace and Troy and Tai combine to play (what I believe to be) a record number of idols in a single Tribal, all four are safe and one of the majority-five will fall—likely Andrea. Now based on the fact there was clearly a fissure between the four last Tribal with Troy, Sierra, and Culpepper writing “Tai,” and Tai writing down Sierra’s name. If such unity could be re-achieved, however, the look on the faces of the remaining contestants and the Jury would be more than enough reason to tune in. Now will this happen? I highly doubt it, which brings me to the prediction. I find it hard to believe Andrea, Cirie, and Aubry would have pushed to flip on Zeke so fervently if they didn’t believe they had a good majority. Furthermore, the fact Sarah and Michaela didn’t go with Zeke and vote for Sierra (which would have created a technical majority), implies to me both thought they could continue with the other women without him. As such, if no flip happened last Tribal, I don’t think one’s going to happen now, regardless of what info Sierra gives Sarah about her advantage. As such, I think Sierra will finally get the boot, and one or more of Brad, Troy, and Tai might chip in to either try and hide in the majority and/or they noted Sierra trying to sway Sarah. I really hope I’m right this week. Okay, friends, that’ll do it for this week! I hope you enjoyed this longer-ish post this week. May it have been worth your time to read!